Celebrated by audiences at home and abroad, Indigenous artist Geoffrey Gurrumul Yunupingu was one of the most important and acclaimed voices to ever come out of Australia. Blind from birth, he found purpose and meaning through songs and music inspired by his community and country on Elcho Island in far North East Arnhem Land. Living a traditional Yolngu life, his breakthrough album Gurrumul brought him to a crossroads as audiences and artists around the world began to embrace his music. 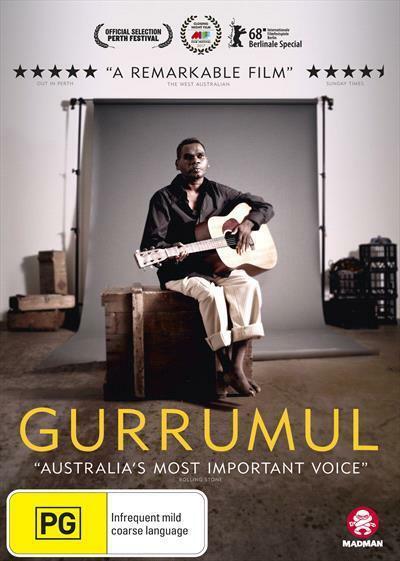 Gurrumul is a portrait of an artist on the brink of global reverence, and the struggles he and those closest to him faced in balancing that which mattered most to him and keeping the show on the road.